Totally renovated 4 bedroom, 2 bath, 1 car garage home in Cross Bayou Estates; Seminole! The list of new items is extensive. 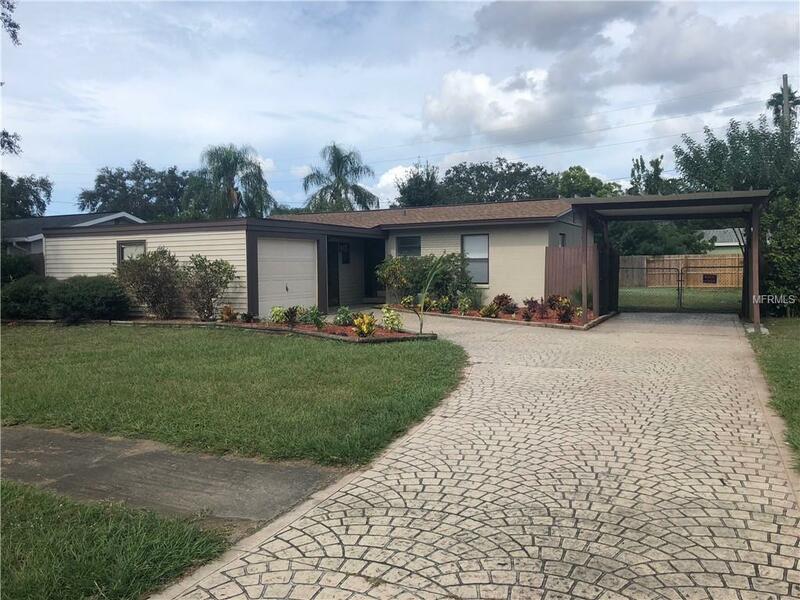 New 25 year dimensional roof, new central HVAC, new solid wood kitchen cabinets, new kitchen granite and back splash, new stainless steel appliances, new flooring, new bathroom vanities, new fans, new paint inside and out, new landscaping and the list goes on. This home has a split floor plan with an awesome master suite. The master suite has it's own en-suite, multiple closets and it's very own den/office/sitting room that peers into the backyard. The kitchen was completely renovated with new solid wood, 3/4 plywood shaker cabinets, granite counter tops that are complimented by the subway tile back splash with the decorative accent band. Also in the kitchen is new lighting and new stainless steel appliances. You also have a small dinette area in the kitchen and an area off the kitchen which can be used as your dining room. The living room is large and located in the center of the house for easy access for all. The bathroom have been completely refreshed. All of the bedrooms have new flooring. Both the inside and outside of the house has been freshly painted. There are new ceiling fans and blinds throughout the house. Off the back of the house you have a nicely sized screened in patio overlooking a large back yard. Finally, you have both an attached one car garage with tons of storage along with a carport and fenced backyard. Room sizes are approximate. Additional Lease Restrictions As Per County Laws.